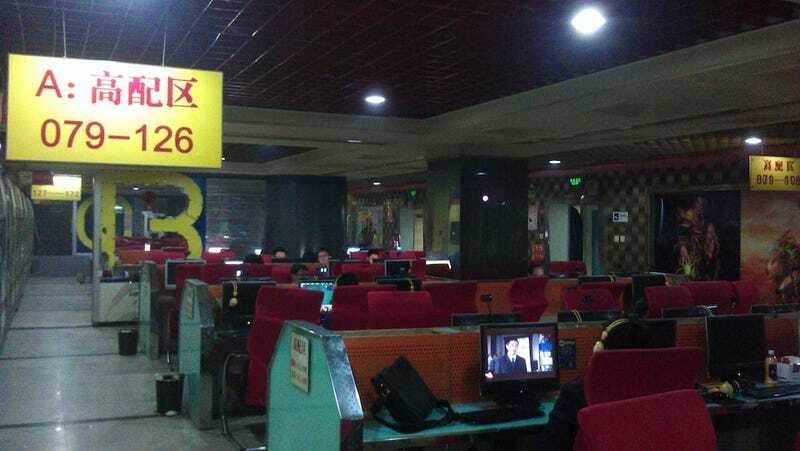 A young man in China's Hunan province was sent to the hospital last week in what looked like another case of a sudden death in an internet cafe. Luckily, the man is still alive. According to a report by Voice of China, 26 year-old Xiao Qiang collapsed at his seat in the internet cafe after a three-day gaming session. That's right, three days and three nights spent playing games at an internet cafe. Xiao Qiang was reportedly rushed to the nearby Hunan Brain Hospital in Changsha. There, doctors declared that Xiao Qiang had suffered a brain hemorrhage. Voice of China reports that Xiao Qiang is an average office worker and online gamer. According to VoC, the man, who enjoys eating fried chicken and drinking carbonated drinks, weighs in at around 100 kilograms—a possible risk factor, according to the doctors at the hospital. Xiao Qiang now suffers from partial paralysis. Resident supervising doctor Xiong Zhiwei says that he can recover most motor function, but will have impaired speech and some mental difficulties.